ROHN Ground Rod Clamps are tinned bronze and slip over the end of a copper or copper-clad ground rod and hold a ground conductor in place by compression. Their compression bolt is a strong hex-head fine thread bolt that really applies pressure to the conductor and ground rod. 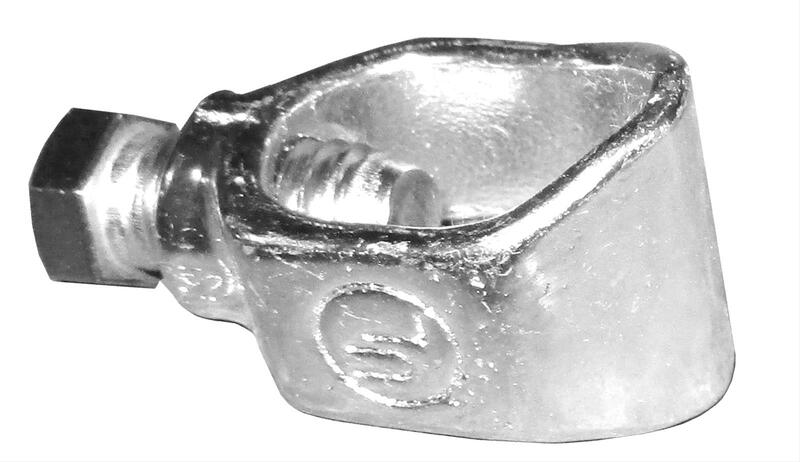 This high pressure creates a low-resistance connection for effective grounding. Tinned bronze is corrosion resistant and will last a long, long time. ROHN Ground Rod Clamps are tinned bronze and slip over the end of a copper or copper-clad ground rod and hold a ground conductor in place by compression. 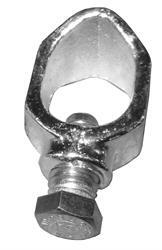 Their compression bolt is a strong hex-head fine thread bolt that applies pressure to the conductor and ground rod. This high pressure creates a low-resistance connection for effective grounding. The tinned bronze is corrosion resistant.